Nothing says sumer quite like tie-dye. The bright colors, the cheery abstract designs and the ease of dying all make summer fashion fun. Always looking to set my tots apart from the rest of the playground I decided to make them Hawaiian themed tie-dye outfits. This will be a 3 part series that includes a hula skirt, tank top and onesie with leigh. 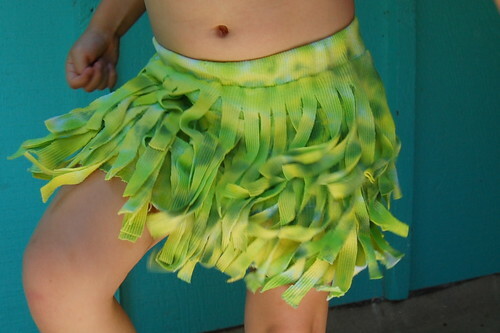 First up, the hula skirt! Let me start by saying: this was my first attempt at tie-dye. I have to say it was so stinkin' easy my 4 year old helped. 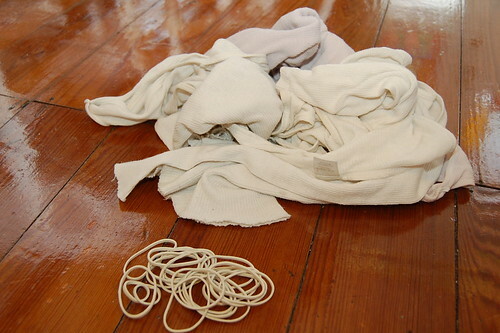 We are talking wrap cloth with rubber bands, squirt with dye, go to bed, wake up and rinse, dry and wear easy. I'm totally a tie-dye convert. 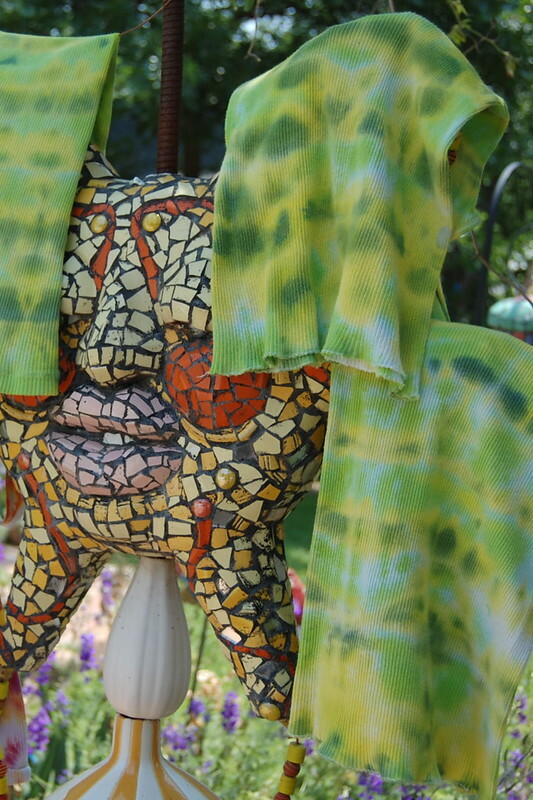 When selecting your material to dye, think natural. I went with some old undershirt tank tops of mine that were headed for the rag pile. 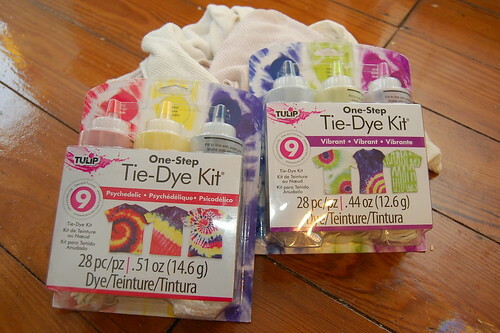 The Tulp One step Tie-Dye Kit comes with super easy to follow instructions that walk you through achieving various tie-dye patterns. I was using 3 tank tops for my shirt so I went with a braid. I used the rubber bands included in the kit to hold everything together. Next I put my braided shirts into the sink. The kit comes with quirt bottles that all you have to do is add water. I used two kits. One had lime green and the other had blue and yellow which I combined to make another shade of green. 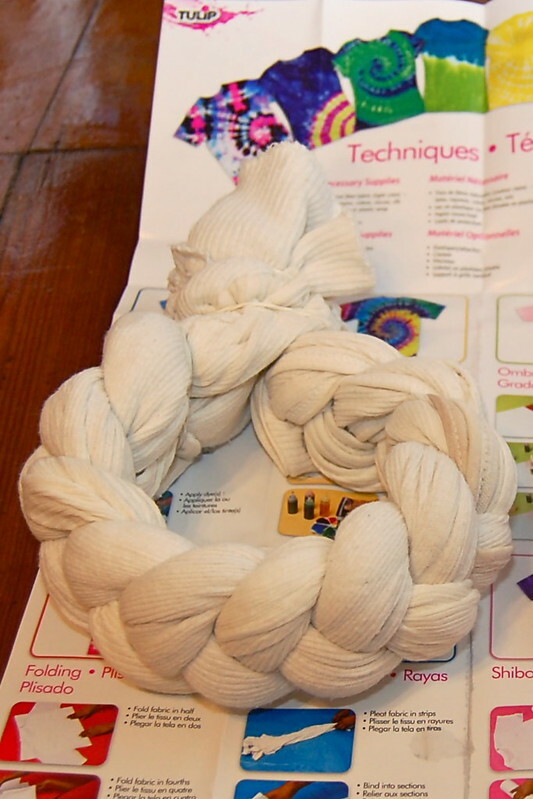 Coat your braid making sure to A) get into the folds and B) Not over saturate. 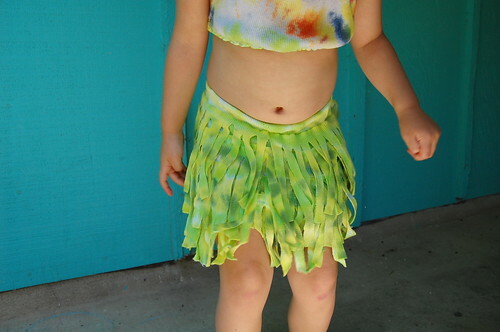 I wanted contrast so that the material would look like grass for my grass skirt. The dye needs to sit on your material for 6-8 hours so I went to bed and let everything work it's magic. In the morning I cut my rubber bands off and popped my tanks in the washing machine. Now I just needed them to be dry so I (or my mother rather) could start sewing. This skirt was inspired by a post I saw on Make It and Love It. Ashley made an ombre style skirt using different red shirts. I saw the fun her daughter was having twisting and turning and I knew Tallulah needed to hula. Check out her site to learn how to make your skirt. 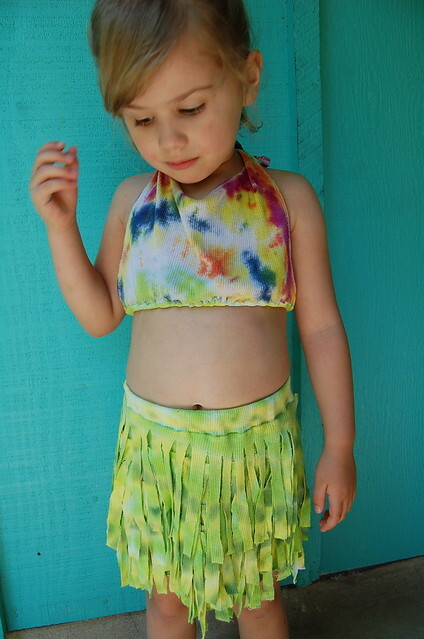 Be sure to catch the next 2 installments where I'll walk you through making a matching tie-dye halter top and a tie-dye onesie complete with leigh for little brother. This is super duper cute Ms. Perkins! Love it! This turned out so cute!! Oh, wait. I made it. 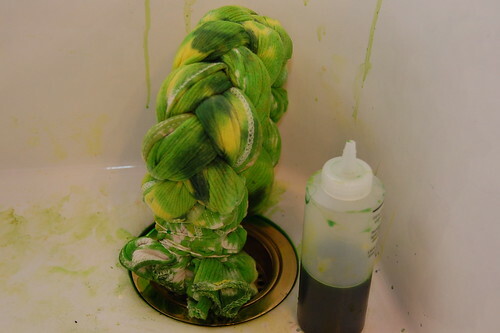 Of course it was cute....but you came up with the idea and did the tie dying. The die dye product is genius. Is there a pattern for cutting and sewing the skirt?